As I write this, I'm sitting at McCarran International Airport in Las Vegas, preparing to return home from what is most likely the last CES I will attend. I'm surrounded by people that are, like me, staring at laptops, tablets, and phones as they wait to get the heck outta Dodge. Slot machines sit idle to my left. To my right, a TV plays the local news: a shooting in a local check-cashing store. My iTunes shuffle has just launched into Gary Jules's version of "Mad World" by Tears for Fears--seems fitting. This is a bittersweet moment, and I'm trying to take it all in. I've been coming to CES for over 15 years. Many of the wonderful relationships I've built in this industry, both with companies and fellow writers, are owed to time spent at this show. Yet it has also been the source of so much frustration and exhaustion. All the people. All the traffic. All the missed appointments. (Cue Boris Karloff) Oh the noise! Oh the noise, noise, noise, noise. When you're in the middle of it, you just want out of it. But then the next one rolls around, and you feel this nagging itch to do it all again. Why is this likely my last CES? Because it's just not our show anymore, at least not to an extent that justifies the trip. By "our," I mean the home theater and audiophile markets. Publisher Jerry Del Colliano and associate editor Dennis Burger wisely chose not to attend this year because it just wasn't worth the expense, given that many of the people they'd need to see work in the high-end audio market--and those folks are jumping ship fast. Dennis wrote about this after last year's show, in a piece called High-End Audio at CES: a Post Mortem. I think they made the right choice, given that the High-Performance Audio area in The Venetian this year was down to just one floor, and the amount of foot traffic on that floor was ... well ... uninspiring. But me? I convinced myself that, as HTR's primary TV/video reviewer, CES is still a worthy investment of time and resources. 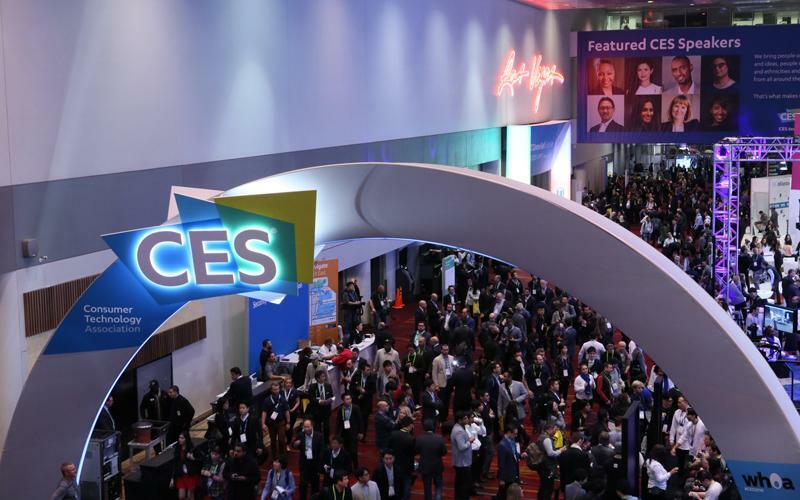 After all, TV and video are still huge categories at CES, and someone needs to go see what companies like Samsung, LG, and Sony are up to, right? I am that someone, and here are some highlights of what I saw. There was definitely some cool video-related stuff. 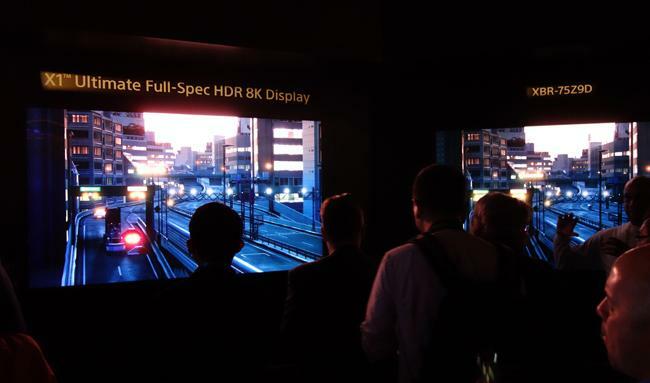 From a TV perspective, one of the most noteworthy items on display was Sony's prototype of an 85-inch HDR-capable 8K TV that reportedly puts out a full 10,000 nits. Combine all that brightness with Sony's prototype X1 Ultimate processor, and the results were dazzling to say the least. Sony positioned it next to the current 75-inch Z Series model (which is the brightest TV series we've measured to date), which looked dim and washed out in comparison. Thankfully Sony was mostly showing darker content with bright highlights so as not to sear our corneas, but I'm still not entirely convinced that this TV wasn't to blame for the blackout that hit the Las Vegas Convention Center on day two. That's right, for two hours, the biggest electronics show in the world was without power in the Central Hall where all the big boys play--what a comical and delightful break from the aforementioned noise, noise, noise, noise. But the key word in the above description is prototype. This Sony display is nowhere close to being a real-world product. Here's the good news/bad news. Samsung says that the 146-inch The Wall will be an actual product in 2018; unfortunately, it will take time (probably several years) to scale the technology down to real-world screen sizes at anywhere-near-affordable price points. So, while a new TV tech is huge news, it's nothing you're going to be able to own anytime soon. 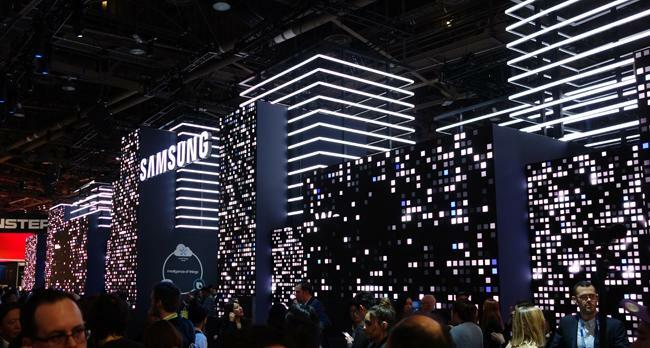 Showing concept products and prototypes is nothing new for CES. That's always been part of the fun. In years past, though, there was some balance between the "now" and the "then." In my post-show report, I could provide you with some meaty details on what this year's TV line would look like and tease you with some cool "down the road" technologies. This year, Samsung didn't bother to announce any specifics on its 2018 TV line--not even a single model. All of that info will be provided a few months from now at the company's spring line show. They did offer journalists a private demo some of the technology updates that will be incorporated into the premium 2018 QLED line to improve black level, color, and HDR, and that 45-minute appointment was pretty much the only thing that made the trip worthwhile for me from a practical standpoint. But I'm willing to bet the company will do something very similar at the spring show, to coincide with the actual product announcements. LG did show off its 2018 OLED and Super UHD TVs; however, just as it has done for the past several years, the company briefed the press on all the AV product introductions weeks before the show via webinar (under embargo, naturally). They, too, have realized that the CES show floor is no longer the place to try to give real, meaningful product data. (TCL did the same thing this year.) So, the only reason for me to visit the LG booth was to see demos of the new ThinQ AI voice control (but I've kinda got how the whole voice control thing works), see a couple of tabletop speakers and soundbars (developed with new partner Meridian Audio), and check out the super-cool "OLED Canyon" at the entrance to the booth. I can write about how cool that setup was, but what does that really mean to you--especially in an era when you can just YouTube it to see for yourself? I'm not saying that new products weren't announced at CES. Of course they were--on both the audio and video sides--and you can read about those products in our daily news section and on our Facebook page. I've just come to the too-slow realization that I no longer need to be physically present at the show to report on such things. Even the relationship building that has always been the cornerstone of the show for me is growing more difficult. Booth tours by the larger manufacturers are often conducted by people who don't really know me or what beat I cover, and it's hard to build new relationships with audio manufacturers that either don't attend or get trambled by the crowd. Friends like GoldenEar, SVS, HARMAN, ELAC, Paradigm/MartinLogan, Lenbrook, and Sound United were in attendance, and it was great to see them and get details on new products coming down the line; however, I also saw many of them in October at Rocky Mountain Audio Fest (which is right in my backyard) and a month before that at CEDIA Expo. At this stage in the game, these smaller and more specialty-oriented shows are where "our people" are more likely to be found. It's also where we have the time and opportunity to encounter new audio companies and introduce them to you--and really, that's the relationship that matters most. So, with an odd blend of sadness and relief, I bid a fond adieu to CES. And please, somebody remind me of this post next December--when the buzz begins anew, the email box begins to fill up, and the CES itch starts creepin' its way back in. • CEDIA 2017 Show Wrap-up at HomeTheaterReview.com. • How to Pull Off a Great AV Demo at a Show at HomeTheaterReview.com.